HAVING started a campaign against illegal logging, Sarawak Chief Minister Tan Sri Adenan Satem says he will tackle the illegal immigrant problem now. “We don’t want Sarawak to be like Sabah. You know about the big problem in Sabah,” he said, referring to the population of illegal immigrants in that state. “They let it go on. They should have done (something about) it years ago. “Now the problem is huge. You want Sarawak to be like that? Put a stop to it now when the problem is still at the beginning (stage),” Adenan said on Saturday. 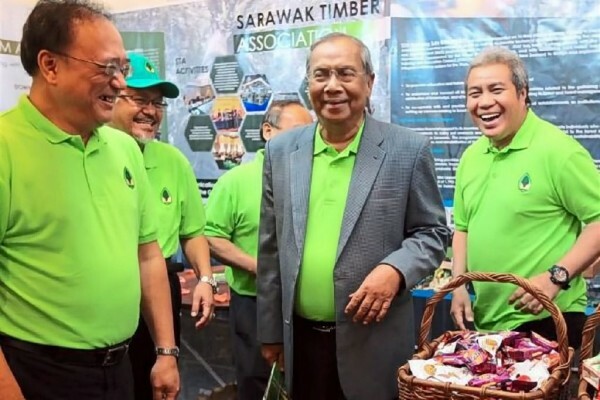 The Chief Minister was reacting to public complaints of foreign fishermen in Miri when launching the state-level International Day of Forests celebrations at the Sarawak Legislative Assembly Complex. The grievances prompted a multi-agency raid last Thursday. A total of 151 were arrested, comprising 146 from the Philippines and five from Indonesia. This month, Indonesian Consul-General in Kuching Jahar Gultom told the media that only 110,000 of the 400,000 Indonesians believed to be working in Sarawak had been documented by his office. More recently, Deputy Home Minister Datuk Seri Wan Junaidi Tuanku Jaafar said illegal border crossing routes between Kalimantan and Sarawak, commonly known as Jalan Tikus (rat trails), had become Jalan Gajah (elephant paths). He blamed the oil palm industry for hiring cheap foreign labour. Adenan told his audience of senior public officials and timber tycoons that the state government informed the Immigration Depart-ment of the problem a year ago, “but nothing was done”. Adenan said it was unacceptable for the authorities to “not know about it” when there were hundreds of Filipinos living in illegal settlements in Miri. “Of course there are women and children involved. Don’t think I enjoy doing this sort of thing to children and women.